Donnie Yen has been one of the busiest actors in Hong Kong in recent years and this new film Wu Xia sees him team up with director Peter Chan for a different take on the Martial Arts action genre. 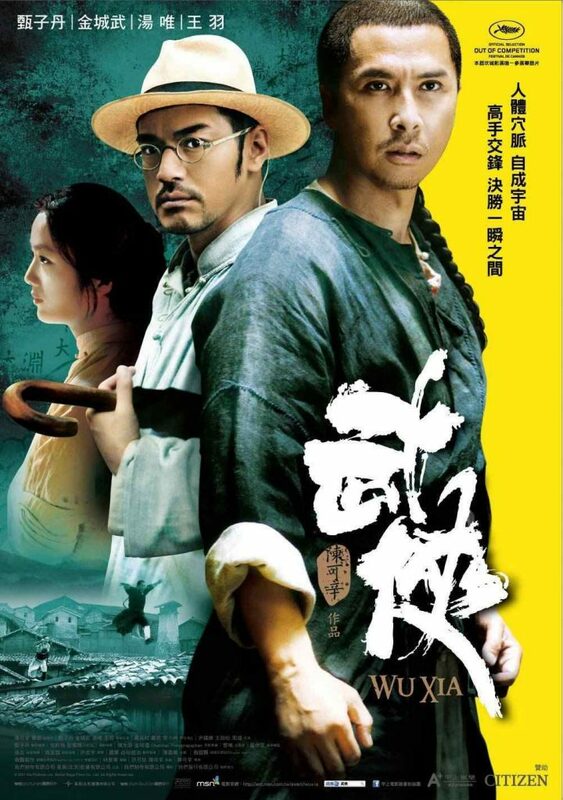 A simple paper mill owner (Donnie Yen) lives in a village with his wife (Tang Wei) and two children. One day he is in a shop that was being robbed, and in defending the store owners, he managed to kill the two robbers. A detective (Takeshi Kaneshiro) is assigned to investigate the case and using his skill as a scientist, begins to suspect that the defender of the shopkeeper is not all that he seems. 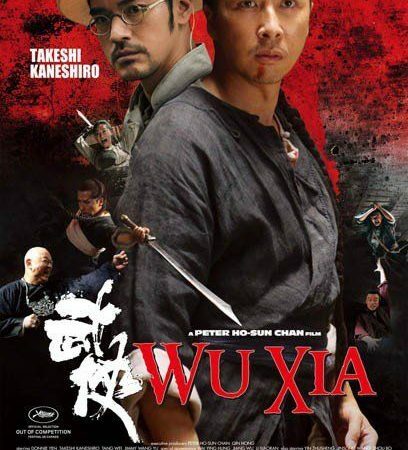 Fans of the Wuxia genre will be somewhat puzzled by the title, that’s not to say that this is not a good film, it is, a bit frustrating at times and some of it does not work but overall this is a very skilled piece of filmmaking and the director should be applauded for willing to be so daring and different. 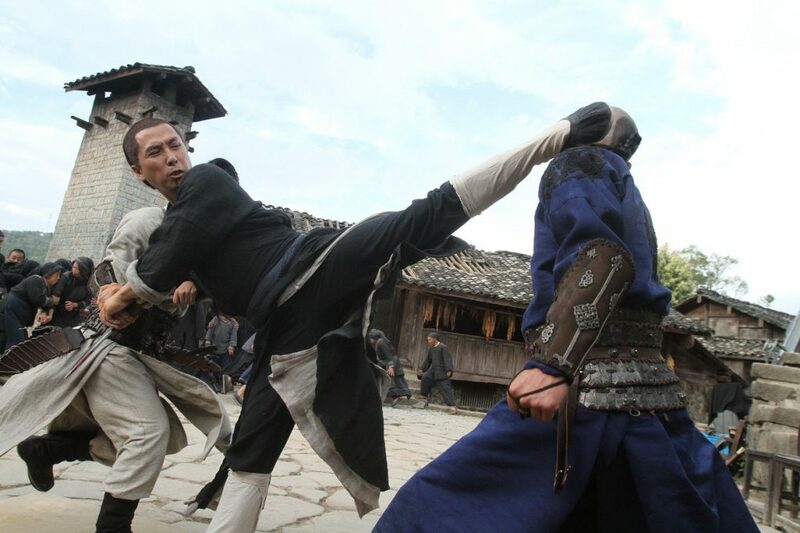 Donnie Yen again shows that he is a good actor here showing a brewing calmness which you know can explode at any time. Takeshi Kaneshiro is good as the detective who uses a scientific approach to investigating the murders, it comes across as a sort of CSI Chinese style! The movie’s cinematography is very impressive but you should go into this film as a drama not a full-blown martial arts movie. The action when it comes is excellently choreographed, exciting but brutal at the same time. There are only really three action set pieces throughout the film but they add to the tension and move the story along dramatically. Kara Hui, well known to Shaw Brothers fans, has a great cameo as an assassin, her fight with Donnie Yen is the action highlight of the film, as does fellow Shaw veteran Jimmy Wang Yu who shows great menace and screen presence as the assassins leader who will stop at nothing to keep the clan in order. The film is a definite slow burner and it could have done with a bit more action to speed up the pace. Overall a satisfying film but one which you think with a little more attention could have been a classic. The film has been picked up for distribution in the USA slightly cut and re-titled Dragon (wow they must have spent a long time thinking of that title!). You don’t have to wait, see the full uncut DVD (R3) or Blu Ray (RA) available from Hong Kong.